Salman Khan is back with Bigg Boss Season 11, the first promo is out and something special planned for his fan!. the show will have two houses and the theme will be “padosis“. Also, the major hint happens to be the concept this time. Ever since Bigg Boss 11 was announced, the fans have been curious to get their hands on anything and everything related to the show. While the makers kept everything under wraps for a long time, it was only on Friday that they finally decided to unveil the first promo of the reality television series. 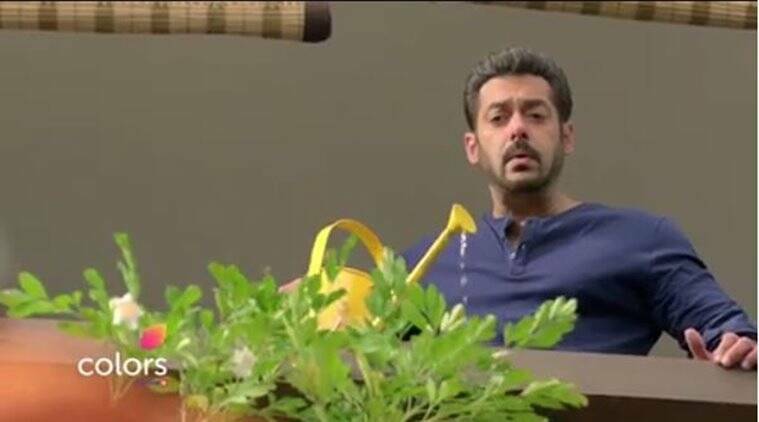 In the promo, Salman can be seen watering the plants in his balcony indulging in a little banter with his aged neighbour. In the meantime, some of it will fall into his neighbour’s cup of tea in the ground floor. After that another neighbour just opposite his house teases him saying: Shaadi kar lo abb, woh aayegi toh haath batalegi. Agar aap single honti, toh ho jaati. Padosi aa rahe hain, bajaane baara, only on Bigg Boss 11(gyarah). It’ll have all the gossip, the catfights, the romances and what have you.